One of the problems that UK users find with using Coinbase is that when they sell their bitcoins or other cryptos that Coinbase supports (Litecoin, Ether, Bitcoincash), the proceeds are in Euros and that they then need to get the money into their UK bank account in UK pounds (GBP). The problems that UK users face are delays in transfers using the SEPA system and the vagaries of the fees that their bank will charge them and the exchange rate that will be applied. 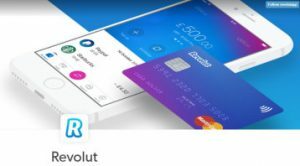 The good news is that there is a low cost solution using the app Revolut. Now first of all Revolut is not some dodgy outfit that could disappear with your money in a trice. They are recommended by Martin Lewis on Money Saving Expert as one of the best prepaid debit cards for foreign travel. Praise indeed! Money Saving Expert. They are regulated by the Financial Conduct Authority, so your money is ring-fenced (in a Barclays account), so in the event there are problems with Revolut your money’s safe. Revolut is an app that you use on your phone and is ideal for changing currency which is what we want in this case. If you haven’t already done so go to iTunes/play store and download the Revolut app. Note down the IBAN and BIC from Revolut, and enter them into Coinbase. Also enter the amount of money you want to withdraw. Go to GBP wallet -> send funds. Add yourself as a beneficiary. Revolut are also gearing up to enable you to trade cryptocurrencies direct through Revolut. The system is not yet live but they are suggesting that their prices will be better than Coinbase and that using them your fees will be lower.